I can't believe it that I've draw all these 3. 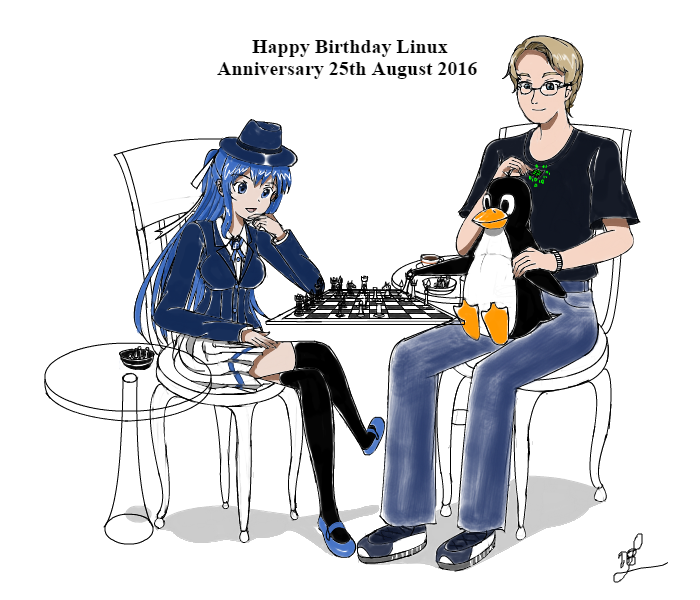 Also I never thought 25th August is Linux 25th Anniversary birthday what a coincidence. The one at the left is Fedora-Tan 24 that Linus currently use for development his Tux Penguin kernel. That just reminds me how late i am in restoring the gallery ^^; I do that this week end, promise ! I want to see more art of Linux and Arch Linux. I use Arch Linux everyday and it's a pretty great distribution. I'm just a guy who uses Arch Linux, wears trenchcoats, and loves girls who are tomboys.